Using the coupon code PICKDADSGIFT at eBay you can pick up the all-new Oculus Go for just $159.20. This beats previous deals by $10. The standalone headset normally sells for $200, but this limited time eBay sale offers you a way to pick one up for a little less. This 32GB gadget is designed to sit between a Gear VR headset and the Oculus Rift, giving you an awesome experience without the need to dock your phone or strap to a computer. This listing is via Newegg’s official eBay storefront, so you don’t have to worry about it being a sketchy retailer that you are buying from. 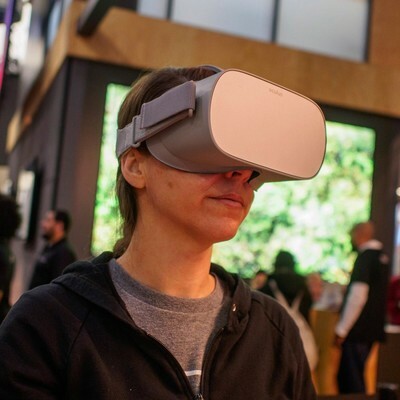 Getting the Oculus Go set up can be a bit tricky, but we have a great guide to get you started. ← YouTube Music vs. Google Play Music: Which should you use?